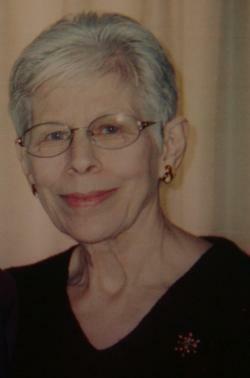 Priscilla Edith Shelton, 83, of Rochelle, passed away Saturday May 31, 2014 at the Serenity Hospice Home in Oregon IL. She was born on June 3, 1930 in Deer Grove, IL to Fred and Edith Heeren. She graduated from Tampico High School in 1946, and attended business school in Peoria, IL. Priscilla married Kenneth Shelton on July 16, 1949 in Tampico, IL. Priscilla was first and foremost a loving and dedicated wife and mother. She raised nine children and has 20 grandchildren and 24 great grandchildren. Once her children were grown, she worked alongside her husband in their men’s clothing store, Carney and Longnecker. After they closed the store, Priscilla went to work for First National Bank. When she retired, she worked in the Kishwaukee College ESL program’s daycare. She was a long-time, active member of St. Patrick’s Catholic Church, as well as being involved in various ministries for the Church. Over the years, Priscilla, her family and extended family took many vacations camping in Colorado, Southern IL, Wisconsin and Arkansas. She loved nature, especially wildflowers. Gardening was a favorite and constant hobby along with scrapbooking. Priscilla was preceded in death by her loving husband, Kenneth, son Christopher, grandsons Benjamin Shelton and Jeffery Eitenmiller; sisters, Mary Pletsch and Mavis Garland; brothers Norman Heeren and Fred Wm Heeren; She is survived by six siblings: Ila Lewis, Canton, IL, Francis (Mildred) Heeren, Sierra Vista, AZ, Clara Dobbeke, Deer Grove IL, Donald (Delores) Heeren, Rock Falls, IL., Velma Zimmerman, Rochelle, IL., Emma (Troy) Jones, Wynne, AR; Eight children: Joel Shelton, Aurora, CO, Rosemary (Alan) Redditt, Memphis, TN, Susan Rothenberger, Rochelle, IL. Jeffrey (Tiana) Vail, CO, Thomas (Christine) Memphis, TN, Stephen (Ericka), Clintonville, WI, Joanna (Eric), Patrick, Rochelle, IL, Scott (Lezlie) Cordova, TN, and stepdaughter, Cheryl Eitenmiller, Pekin, IL; Daughter in law, Nancy Shelton Boston, MA. Visitation will be Thursday, June 5, from 4PM to 7PM, with a Rosary Service at 7PM at Unger-Horner Funeral Home. Funeral services will be held at 10:30 AM Friday, June 6th at St. Patrick’s Catholic Church, 244 Kelley Drive, Rochelle, IL. Burial will be at St. Patrick Cemetery in Rochelle, IL. Memorials may be made to Serenity Hospice and Home, Oregon IL.